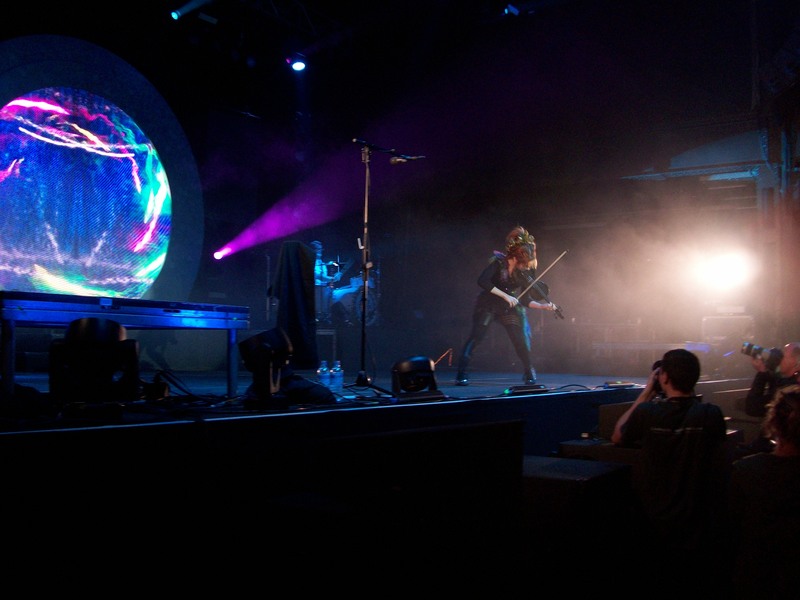 On Friday the 17th of October 2014, I saw Lindsey Stirling in concert for the third time. You can find my blog entry about her gig in Cologne in June 2013 here and her Las Vegas performance in May 2014 here. Just like last time, I mentioned the Misscliks.com website to Lindsey and indicated that we would be interested in conducting an interview. I decided to write for Misscliks (here is a list of my articles and the Lindsey Stirling Spotlight), because they took the unusual approach of covering positive achievements of female role models in geek and gaming culture. The typical media focus on tragedies and drama may generate site views, but I am of the opinion that this is not necessarily a good approach, long term. 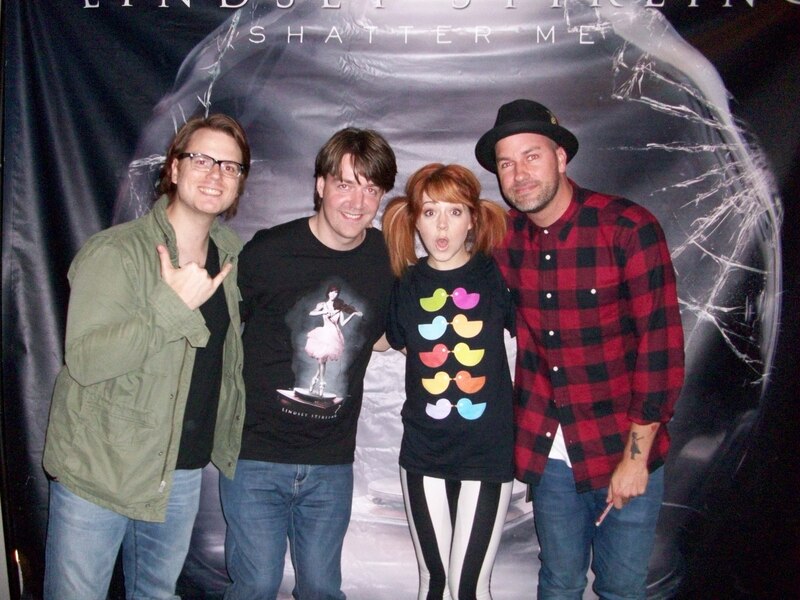 The picture of Lindsey, Drew, Gavi and myself was taken by Mackenzie Madsen, who seemed a bit surprised that I wanted to credit her. Hopefully I picked the right person, because I did not catch her contact details and went with a google assisted guess. There were no real surprises at the Q&A segment, people tend to ask the same things. Perhaps that is good, because unusual questions don’t necessarily generate better replies, as I demonstrated when I asked something at the Las Vegas Q&A. This time I was busy writing a twitter message, so I missed my opportunity to ask a question. Apparently my camera does not cope well with insufficient lighting, so most of my pictures were blurry and grainy like the picture above. I admired the beautiful pictures that other people took when I looked over at their cameras’ displays. I guess that means I need to buy new equipment. 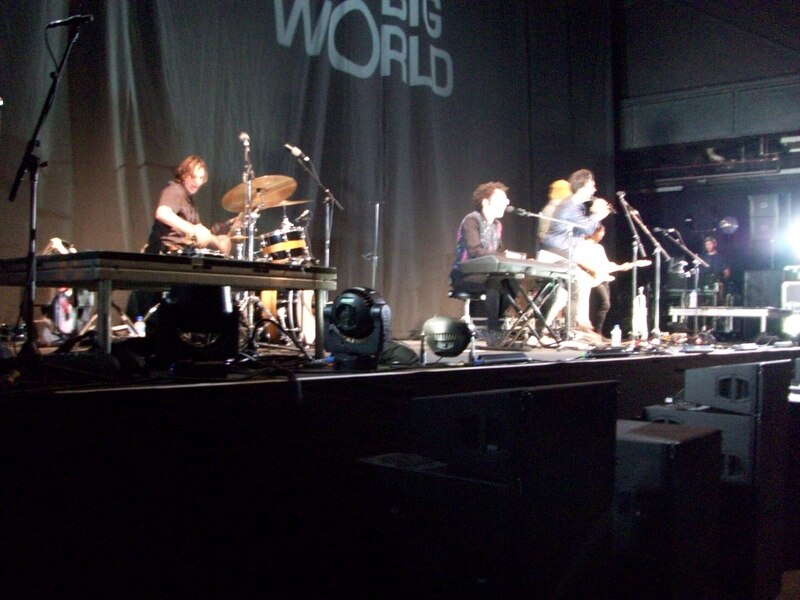 The pre-show band was called “A Great Big World“, whose big hit “Say Something” caught Christina Aguilera’s attention. I bought their album at the show, which contains a version with and without her. 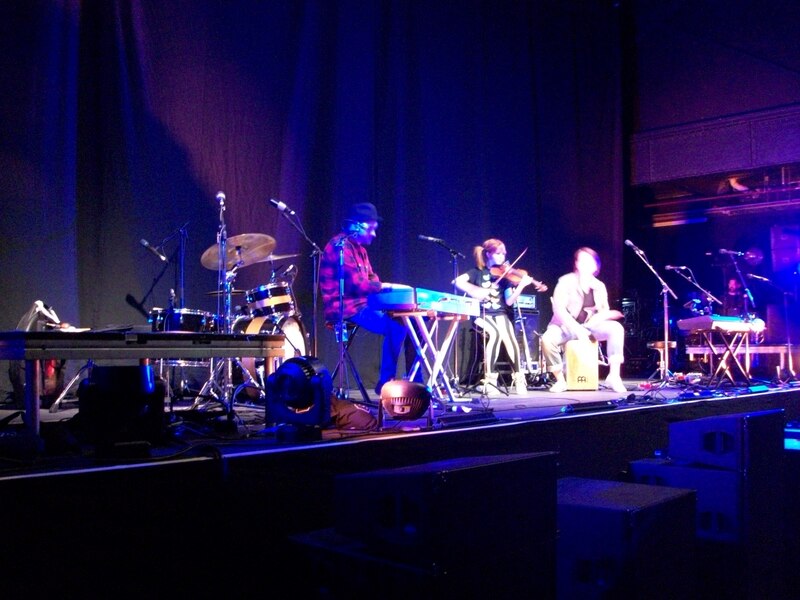 Instead of Christina Aguilera, the Vocalist/Keyboard guy performed the song together with Lindsey. Almost through the line for Assassin's Creed Rogue. I broke the code of German etiquette and started talking to people in line (US-style). Overall it was a great concert and I plan on going again when there is a new tour. When I tried to leave, there was the expected traffic jam. However, as they say “when they zig, you zag”, I drove off in the opposite direction and joined a significantly shorter line of cars.